Prion diseases are lethal neurodegenerative disorders. The definitive diagnosis of prion diseases can be made only after the death of the patient, which complicates patient care and prevents early treatment. This project focuses on the use of a new method called RT-QuIC, which allows for highly sensitive prion detection in vitro and thus confirmation of the diagnosis at the earliest signs of the disease. The aim of the study is to introduce and optimize the RT-QuIC method in the Czech Republic and to determine if urine and skin samples can be used successfully for diagnostics. Prions are also very resistant to classic sterilization procedures. 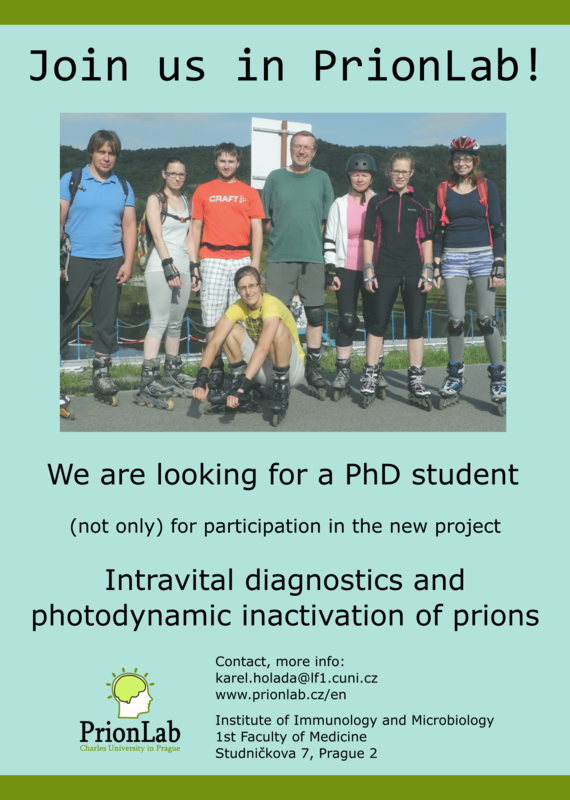 Our laboratory has found that prion inactivation could be induced by photodynamic action of phthalocyanine derivatives. The research thus also focuses on revealing the mechanism of prion inactivation and verifying the practical applicability of the photodynamic inactivation method for use in practice.